and smartphone apps put you in control. BlinkFX offers custom branded smart LED wristbands at low minimum order quantities. 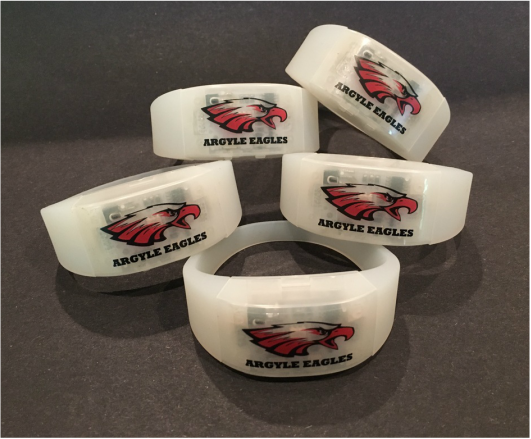 After an event, users take their wristbands home where they may be used in "demo mode" or at another BlinkFX enabled event.﻿ One high school band is selling the wristbands as a fundraiser spirit item for football games and operates them at every game -- home and away. Winsanity, the game show featuring host Donald Faison, features "Win Watches" created by BlinkFX that are integrated into the game play. Each audience member relies on their "Win Watch" to learn if they will be chosen to compete or to win prizes along with the the on-stage contestant. This custom implementation of the BlinkFX wristband system allows the game show controller to select a single audience member or group of any size at random. As the prizes get richer, the pool of winners gets smaller until only one audience member's "Win Watch" is selected. 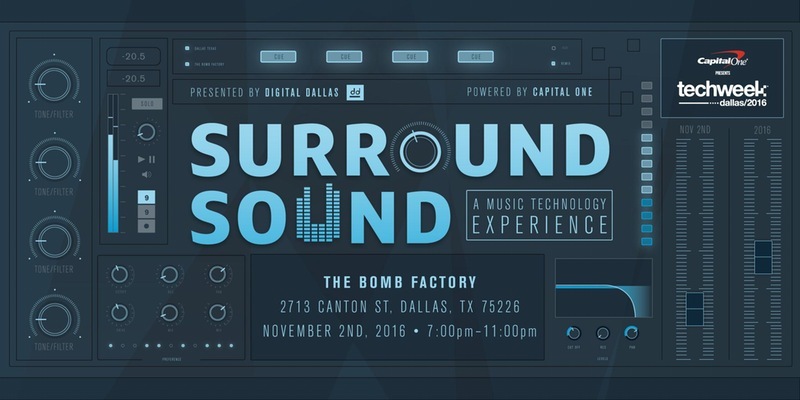 © Copyright 2016 Dallas Innovates. Click here for full story. 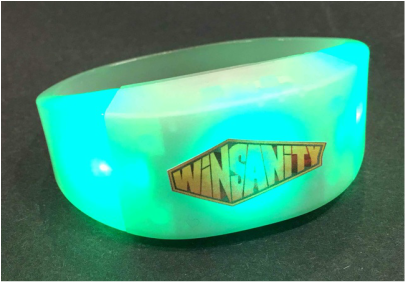 The game show Winsanity features "Win Watches" created by BlinkFX as a custom integrated implementation specifically for the show.